Surrounded by park-like grounds and abundant greenery, the Hilton offers a comfortable sanctuary in the center of Ethiopia's capital, with spacious guest rooms offering mountain, park, garden or city views from private balconies. Just minutes from Bole International Airport, the Hilton Addis Ababa is located in the center of Ethiopia's capital in the vicinity of the National Museum, United Nations Conference Center and the Merkato, Africa's largest public market. The hotel offers a comfortable sanctuary for travelers, with park-like grounds and abundant greenery. Interiors incorporate traditional Ethiopian design elements. Spacious (355 square feet) guest rooms have mountain, park, garden or city views from private balconies. These bright and airy rooms have large floor-to-ceiling windows, are decorated with original artwork and furnished with deluxe beds and a writing desk. Complimentary Wi-Fi is provided. 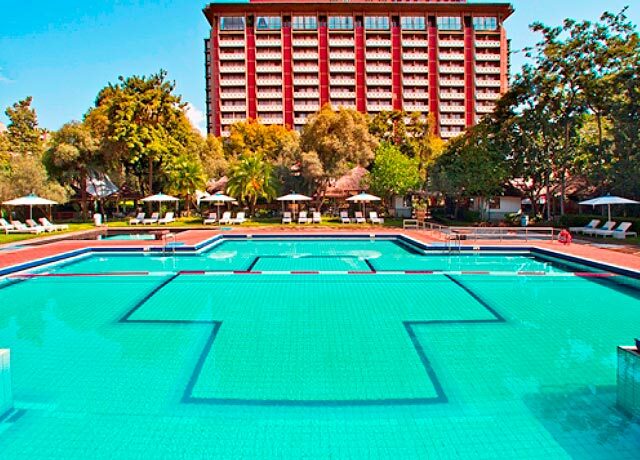 Enjoy a large outdoor swimming pool in a lush garden setting, with umbrellas and lounge chairs shaded by trees. Tennis courts and a fitness center offer other recreational options. 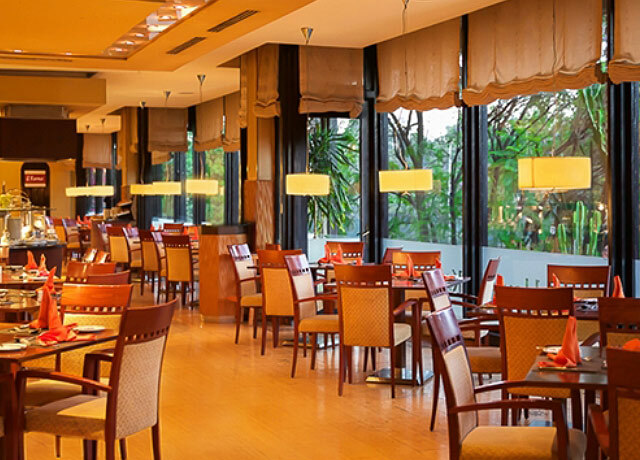 Dining choices include Kaffa House for Ethiopian specialities, Il Forno for a bit of Italy in Addis, the Lobby Bar, and the poolside Gazebo Bar and Restaurant. 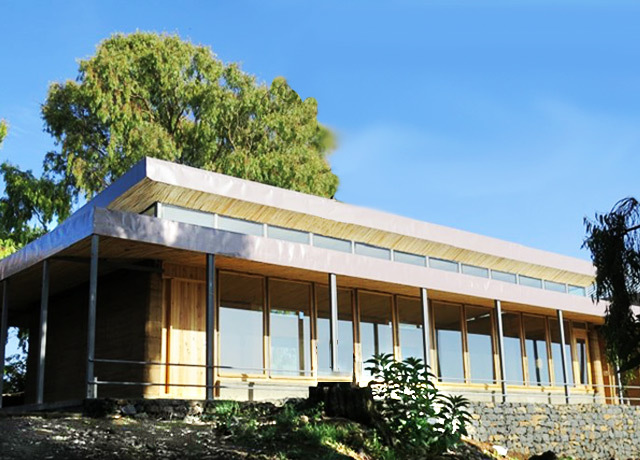 On the edge of Ethiopia’s Simien Escarpment, this elegant ecolodge is a paragon of sustainable design, offering luxury and minimal impact in a stunning setting next to Simien Mountains National Park. Perched on the edge of Ethiopia’s Simien Escarpment, Limalimo Lodge is a simply stunning location from which to experience Simien Mountains National Park. 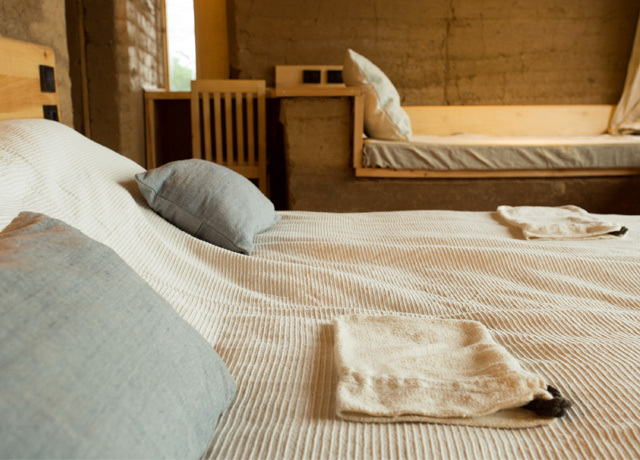 The ecologically designed boutique lodge embraces sustainable tourism with minimal environmental impact. Constructed with rammed earth walls, living roofs, rainwater harvesting systems, wood and thatch materials, and utilizing renewable energy sources, the lodge offers a respite for guests that is both eco-conscious and elegant. Twelve airy rooms in individual chalets are spaced over the leafy 25-acre property. Each private room features high ceilings, warm earthen tones, en suite bathrooms and a wall of picture windows. With crisp modern lines and plush bedding, the atmosphere is warm and contemporary. At the top of the hill, the bar and restaurant have a cozy fire pit that makes high-altitude evenings on the spacious terrace comfortable. An indoor fireplace sets the ambience for intimate meals in the dining room. Throughout the property, large acacia trees are strung with hammocks, and inviting benches are scattered about from which to watch animated troops of Gelada monkeys. 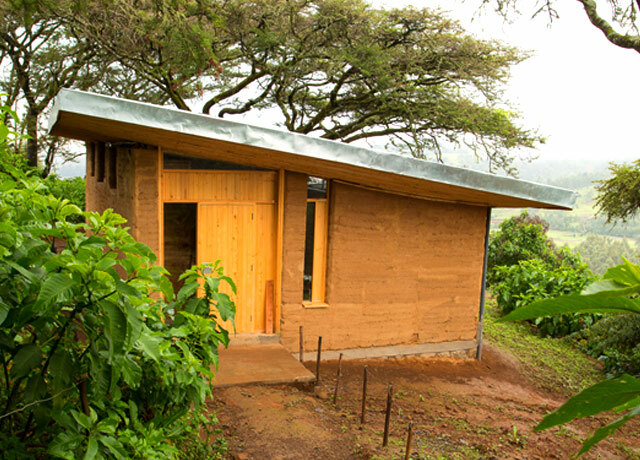 The lodge features the work of Ethiopian artisans and relies heavily upon members of nearby Limalimo village to run the property. In the dining room, ingredients are sourced from local producers, while a part of the lodge’s proceeds are earmarked for wildlife conservation in the national park. 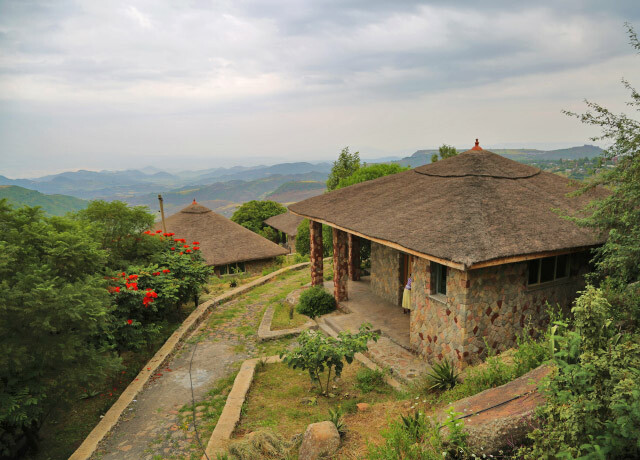 This deluxe lodge features 17 traditionally designed stone-and-thatch bungalows surrounded by gardens with expansive views of Dilha Mountain and the peaceful rural outskirts of the royal city of Gondar. Mayleko is a deluxe lodge featuring private bungalows surrounded by nature. Twenty individual stone and thatch chalets are backdropped by Dilha Mountain and enjoy views of distant ridges, green valleys and small farms. Each has a private veranda with a mountain or garden view. 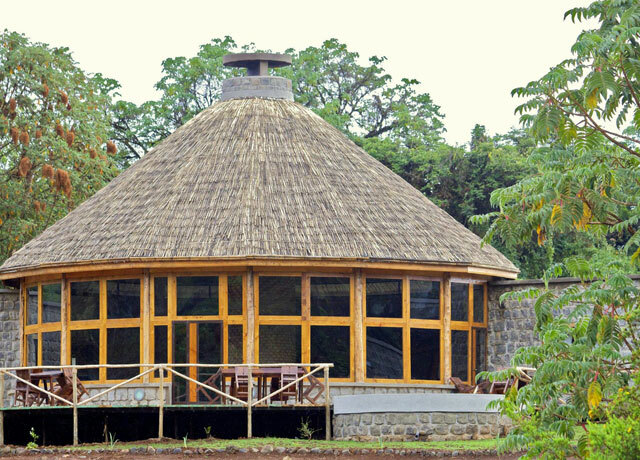 Spacious interiors feature elegant touches befitting the lodge's location on the peaceful outskirts of the royal city of Gondar. Inside the bungalows you'll find high bamboo ceilings, wood and wicker furnishings, bright color accents, a king-size or two full-size beds, and a modern en suite bathroom. The newly built lodge has been constructed with traditional regional design elements using reclaimed hardwoods, sustainable and recycled materials, and local skills. It operates from a philosophy that seeks to reduce impact on the environment, promote energy efficiency and benefit the local community through ethical employment practices. Lodge guests will enjoy fine dining in an airy terrace setting overlooking the mountains, drinks at the cozy bar, and an inviting swimming pool surrounded by a stone terrace with cushioned lounge chairs. 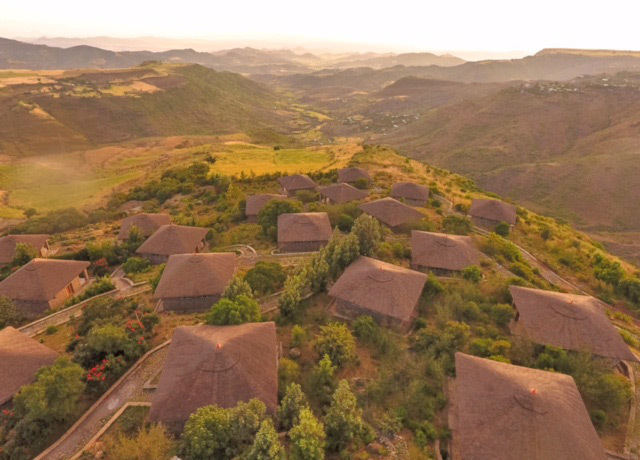 Mezena Lodge offers new high-end, ecologically conscious accommodations in a mountaintop setting with grand views of Lalibela, setting a new bar for quality and hospitality in the region. 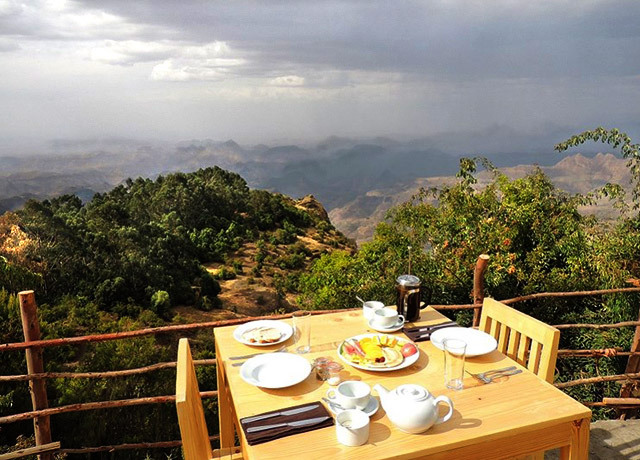 Optimally located for exploring the historic treasures of Lalibela, Mezena Lodge rests on a mountaintop high above the valley below, overlooking an expanse of hills and plateaus stretching to the horizon. 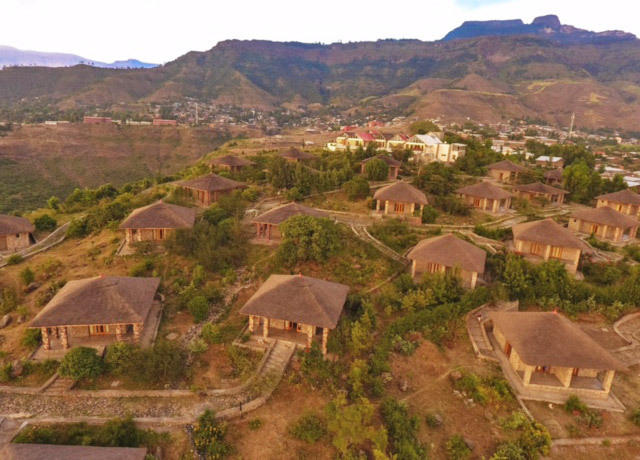 The new property opened in September 2017 to provide high-end, ecologically conscious accommodations that set a new standard for quality and hospitality in Lalibela. Guests enjoy private quarters in 30 stone and thatch bungalows designed by a noted architect who has combined traditional design with state-of-the-art comforts in harmony with the natural setting. Cobblestone paths wind through the grounds, connecting the bungalows with the common areas. Each bungalow has its own veranda with views over the town and mountainside. The spacious interiors have clean, modern lines and are furnished with wooden poster beds dressed in crisp white linens, a table with stools for seating, satellite TV and large, well-equipped bathrooms. The restaurant and bar on site feature fine Ethiopian cuisine, including freshly ground Ethiopian coffee each morning. Recreational facilities open or under development include a large swimming pool and spa offering a steam room, sauna and massage. Mezena Lodge hires its staff exclusively from Lalibela, supporting its commitment to being a vital community member and source of local economic wellbeing. This boutique ecolodge in the cloud forest of Bale Mountains National Park is crafted of local stone and thatch, with a sunken fireplace in the main lounge and wood stoves in the rooms to ward off the chill. 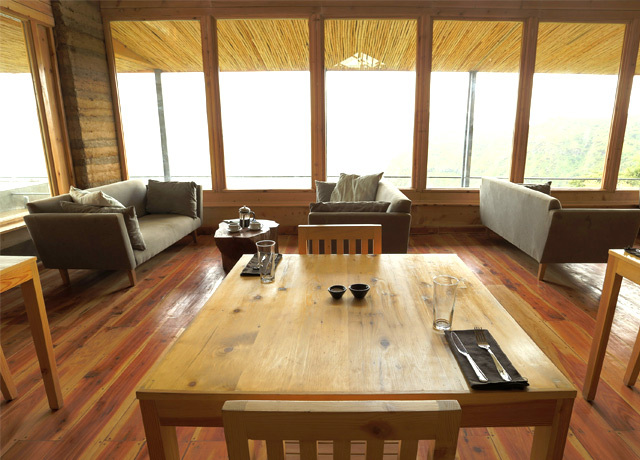 Newly built in 2014, Bale Mountain Lodge is a conservation-focused ecolodge located in the cloud forest of Bale Mountains National Park with access to the Rift Valley. Tucked into the hillside to minimize its visual impact on the surrounding area, the boutique lodge's 11 rooms are constructed of local stone. The attached dining room features a thatched roof and central sunken fireplace, providing cozy atmosphere for relaxing in the evenings. All guest rooms are equipped with a wood-burning stove to provide extra warmth. The furniture has been created locally using sustainable wood and other locally sourced materials, and linens feature colorful Ethiopian textiles. The location of the lodge provides a superb opportunity for guests to experience a pristine wilderness environment that incorporates the largest tract of Afro-Alpine moorland remaining on the African continent. The lodge itself is situated within the Harenna Forest at a more comfortable 7,800 feet, within a clearing that looks toward the ridgeline of the expansive plateau. Several short walking trails lead directly from the lodge, enabling guests to see the region's rare and endemic wildlife on foot.